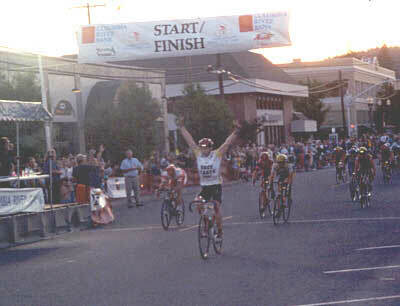 Labor Sweeps 2001 Cascade Cycling Classic! 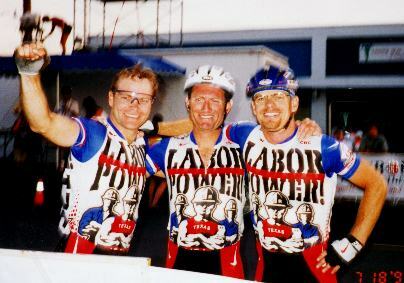 Labor Power celebrates it's fourth win in five years at the Cascade Classic in Bend, Oregon. 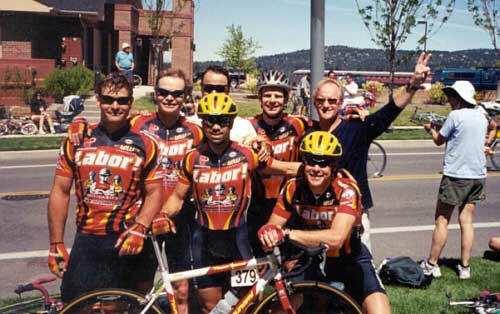 D. Hawk Worthington, Robo Copp and team guru Rev. Billy Stone, Esq. dominated the podium, taking 1st, 2nd and 3rd in the overall standings. 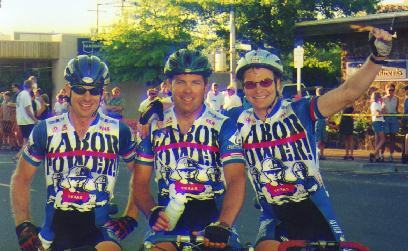 Genghis Hahn, Louie Rican and Ed Bruno Roberts. Tops on the Leader Board. 2. Tomo Kemosabi, Flower Maidens, 3. The Riddler, aka Col. Klink, San Francisco Wingdingers. Bend, Oregon and dominated the winner's podium for the fourth time in five years. From Left to Right. 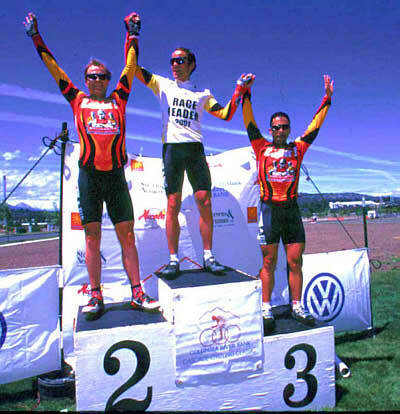 Worthington (2nd overall), Genghis Hahn (1st) and Louie Rican (3rd). 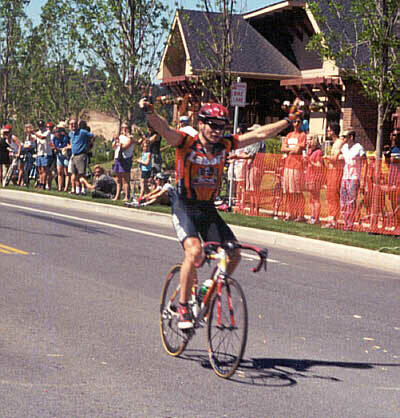 LABOR takes CASCADE CLASSIC in Bend, Oregon, July 19, 1998. 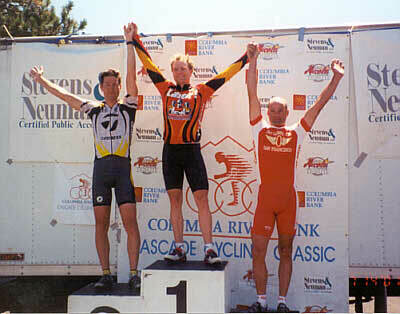 LABOR takes 1-2-3 at CASCADE CLASSIC in Bend, Oregon, July 18, 1997.